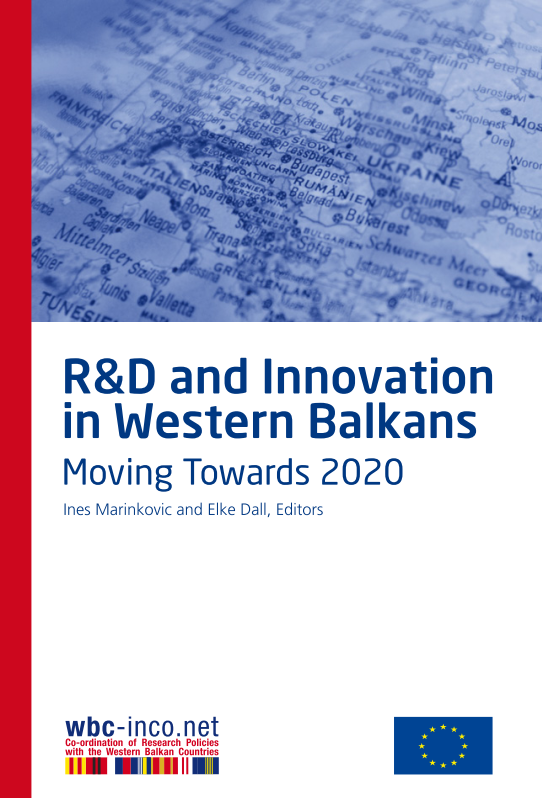 Attached please find the WBC-INCO.NET final publication, entitled "R&D and Innovation in Western Balkans. Moving towards 2020." This book outlines results from the past and discusses options for the future while it also tackles the issue of regional cooperation in research and innovation from different standpoints and in different styles. Researchers as well as policy makers and administrators inform on the broader picture but also on their particular perspectives. The publication at hand is not only prepared as a report on the WBC-INCO.NET project that has ended in 2014, but it is intended to promote regional cooperation also in the future and is aimed at everyone interested in research and innovation in Western Balkan region. A foreword to WBC-INCO.NET final publication: “History and Outlook on the Cooperation in Higher Education and Research with the Western Balkans – A View from Austria” is written by Heribert Buchbauer and Christian Gollubits from the Austrian Federal Ministry of Science, Research and Economy. In addition, the messages to WBC-INCO.NET from: European Commission, Directorate General for Research and Innovation; General Secretariat for Research and Technology on behalf of the current Greek Presidency of the Council of the European Union; Ministry of Education and Sports (Albania); Ministry of Civil Affairs (Bosnia and Herzegovina); Ministry of Science, Education and Sports (Croatia); Ministry of Education and Science (FYR of Macedonia); Ministry of Science (Montenegro) and Ministry of Education, Science and Technological Development (Serbia) as well as messages from WBC-INCO.NET partners are included as introductory part of this publication. At this point we would like to express once again our deepest appreciation for the support and commitment to the WBC-INCO.NET project. website http://towards2020.wbc-inco.net/ and download the presentations and audio files of their interest which are publicly available. The second part “Science and Research in WBC – WBC-INCO.NET’s Findings” includes several reports compiled by the project WBC-INCO.NET on the situation of Science and Research in the Western Balkans and the coordination of relevant policies and initiatives in: Albania, Bosnia and Herzegovina, Croatia, FYR of Macedonia, Montenegro, Serbia, and Kosovo*. tures, needs and capacities to smart specialisation, innovation and brain drain and RTDI evaluation. This third part includes also some of the WBC-INCO.NET’s findings which are related to innovation issues. We hope that readers interested in research- and innovation-related topics as well as in the progress of the integration process of the Western Balkan countries into the European Research Area will gain some fruitful insights from this book.